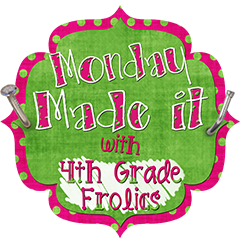 This week I decided to start working on my classroom posters and displays as well as classroom management and what tools I'd like to display in or around the classroom to assist with classroom management. I decided to create a classroom display this year to hang in my room. It will serve as a reminder for students or my expectations when I hold my hand up or say, "Give Me 5." Want a copy? You can download my Give Me 5 Classroom Display here in my Teachers Pay Teachers Store. 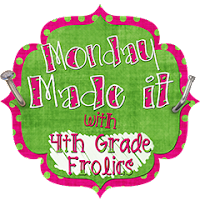 Check out all the other Monday Made It's at Tara's Blog: 4th Grade Frolics! Very clever sign! Love it!! This is so cute! I used "give me five" for years but just switched it up last year. I love your sign. Our previous administrator required us to do Give Me 5. Now we use pattern claps as a way to reinforce patterns. Your Give Me 5 sign is super cute. We used to use Give Me 5 in my old school. I find myself still using it, eight years later.